The Brisbane suburb of Springfield has seen huge population growth over the past five years and it is only going to get bigger with Generation Y leading the pack. 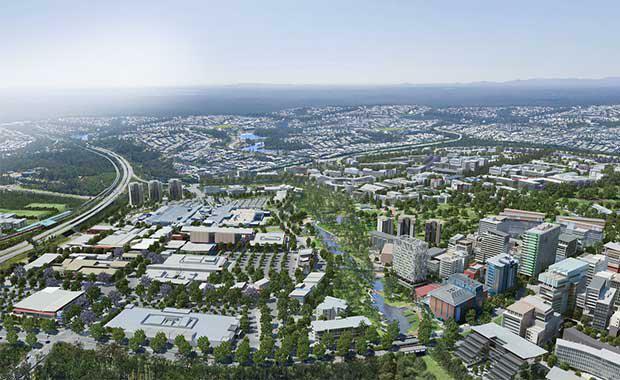 The suburb will receive 600 new apartments in a $200 million development project by fund manager Folkestone and the Springfield Land Corporation. The 1.8 hectare site in Springfield Central called Park Avenue Apartments will be a first for the medium density suburb. The project will deliver higher density living in order to accommodate growth. At this stage the apartments will be seven to eight-level towers. The project comes on the back of strong population growth and heavy investment and development in Springfield’s infrastructure. The $1.2 billion Springfield station railway has opened, as well as the continued expansion of the Orion Springfield central shopping centre and the ongoing development of the Mater Private Hospital Springfield. Ipswich Mayor Paul Pisasale, told the Brisbane Times that Springfield could potentially house 90, 000 people, with current predictions putting the suburb at a population of 80, 000 by 2030.
doubled its population from 4, 845 in 2006 to 10, 141 in 2011 and Springfield’s population growth is only expected to continue. It also has a young population with a median age of 28, well below the Australian population. Housing in Springfield currently ranges from $380, 000 to $1.4 million with a median price of $420, 000. Plus Architecture will handle the first phase of development that is expected to focus on one and two bedroom apartments. It is estimated to be a four to five year project with the aim to commence in 2015.